Marsh grass, mulch, and muddy debris…Mother Nature’s gifts after the tide receded. 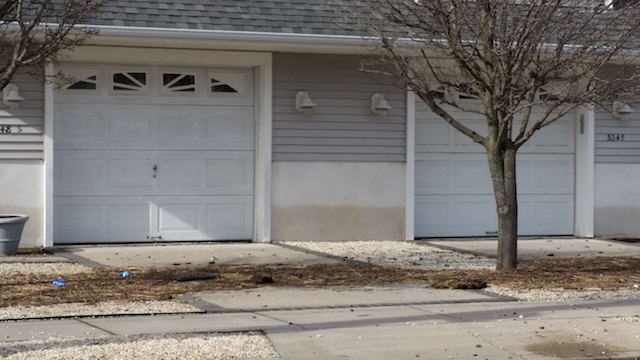 If water entered your garage (see picture below with water line evident on foundation), it’s important to clean the surfaces (not just let it dry)- otherwise it will smell fishy when the weather warms! The snow and ice a few days prior created icebergs of lawn stones that were then carried by the tide throughout the streets. The Borough is busy cleaning those streets now. Mother nature sometimes isn’t very nice. In Philadelphia got 22.4 inches of snow. We all deserve an early summer!